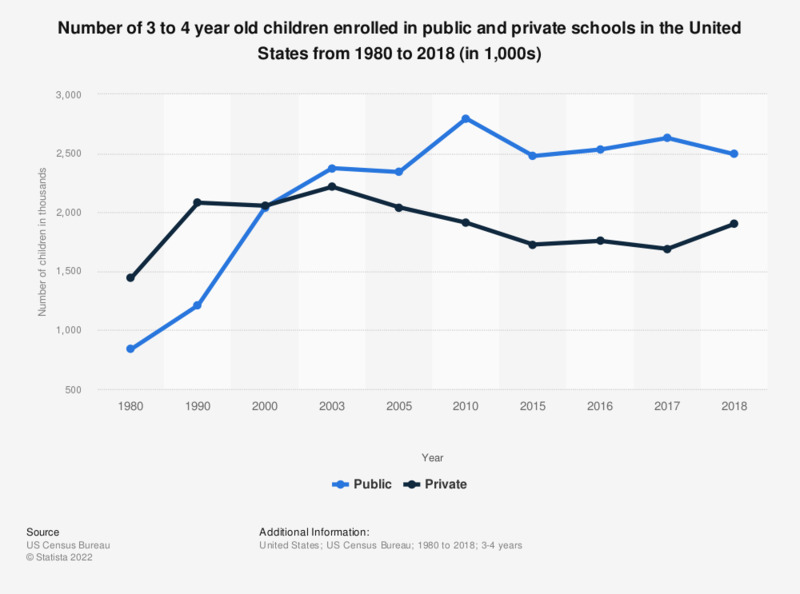 This graph shows the number of 3 to 4 year old children that were enrolled in public or private schools in the United States from 1980 to 2017. In 2017, there were approximately 2.63 million 3 and 4 year old children enrolled in public school in the U.S.
Kindergarten and child care in the U.S.
Everything On "Kindergarten and child care in the U.S." in One Document: Edited and Divided into Handy Chapters. Including Detailed References. Statistics on "Kindergarten and child care in the U.S."
Do you think it is a good or a bad plan to make education about the Wilhelmus (National Anthem) compulsory in the Netherlands?